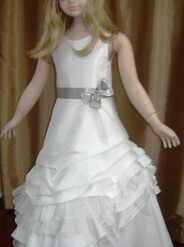 Being a flower girl at a wedding is a very big responsibility for such a little princess. 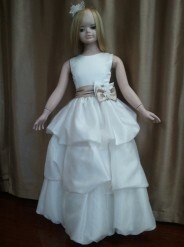 This line has a wide selection of flower girl dresses and comes in a variety of fine fabrics and colours such as satin, tulle, taffeta and organza. 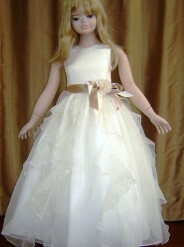 Each dress is uniquely adorned with bows, delicate flowers, as well as fine bead and lacework. 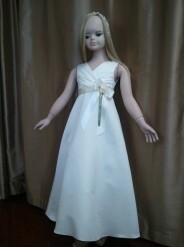 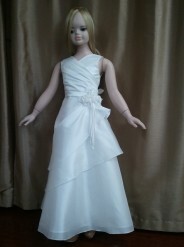 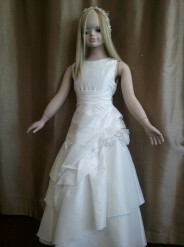 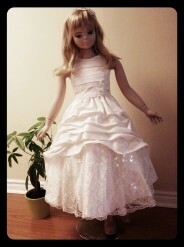 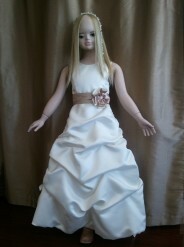 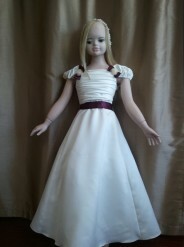 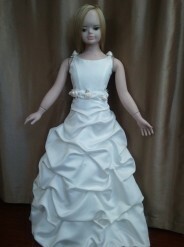 You can customize the dress in any way you want including the colour, fabric and design. 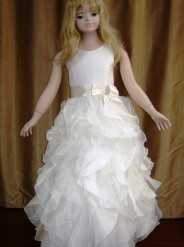 The dress can be delivered in as little as 4 weeks. 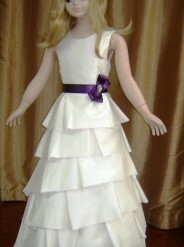 Additionally, if you need communion dresses for your beautiful daughter we can custom make one at a very reasonable price.